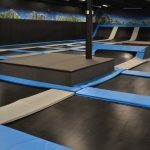 Altitude Trampoline park in Bloomington, Illinois is a trampoline focused fun center. 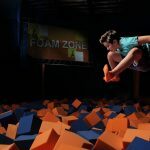 Activities include foam pits, various trampoline configurations and dodgeball. Rated an average of 4 out of 5 stars by 2 reviewers. 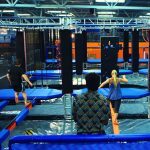 The Altitude Trampoline park was defintely poorly planned. 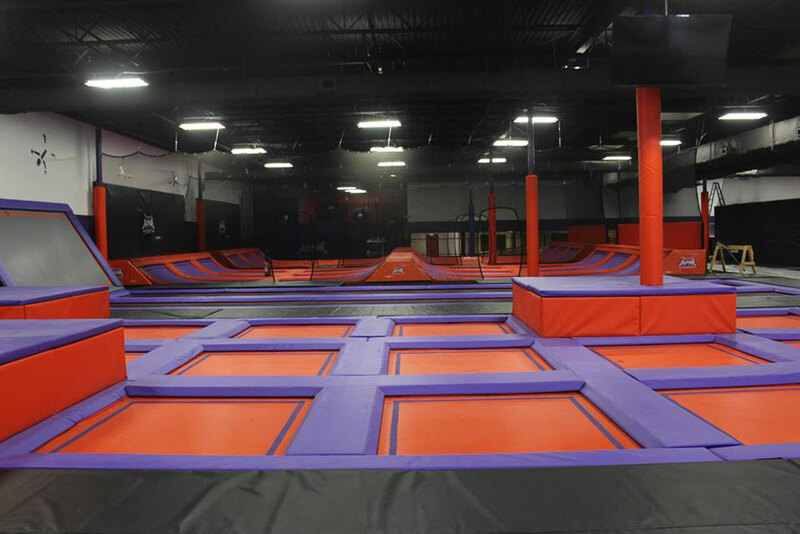 We were told to pay in advance for our tickets and to sign the waiver online. That was really easy and efficient, so I was excited to go. When we got there the parking lot was so small that we were forced to make up parking spots in the entrance lane of the park. 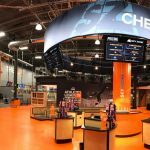 Anyone opening a business this size should know that the current lot was not going to accommodate large crowds and they should of chosen another location. Once inside it was just a mass of confused people. No one was there to greet you and tell you where to go. One of the employees screamed instructions to the crowd and many people were in the wrong line so doing the process online really didn't make a difference. Once we got thru the line there was hardly a place for parents to sit. People were using the lounge area for coats and shoes because there was not enough room in the cubbies for everyone. We spilled over into the predominantly unused party area. Of course they asked us to leave the party area...honestly there was no party in that area and people just needed a place to sit. 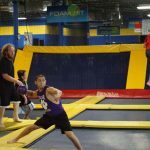 We saw no one sanitizing the trampoline areas but it was clean. 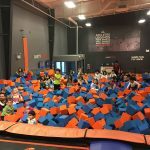 Kids had fun so that is the most important part. The park itself should be larger for an area of this size. I am sure timing is everything, once the newness wears off it will quiet down. Just really poor location and building choice.